Written by Andrea Martin. Media by Madison Moran. A relatively unknown band took the stage at the Old Rock House in St. Louis on Sunday, March 8, who bedazzled a sold-out crowd with soulful tunes and melodic arrangements full of emotion and captivity. 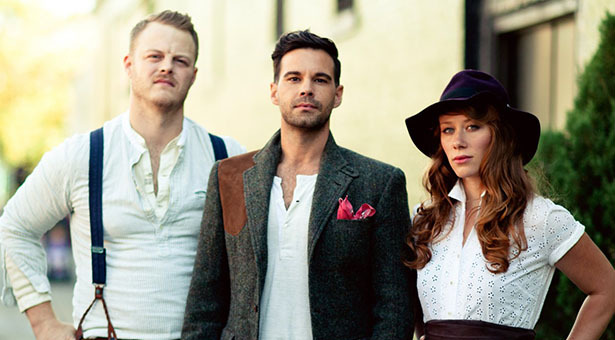 The Lone Bellow is a band with no specific genre. They create their own kind of sound that resonates long after a person has finished listening to a song. I had the pleasure of seeing the Lone Bellow at the Old Rock House after I discovered their music two to three weeks before their performance. The first song I listened to was “Green Eyes and a Heart of Gold,” the hit single off their self-titled album released in 2013. I was instantly hooked, and bought the rest of the album, an act I’m not always inclined to do. This was probably one of the best decisions I have made. Lead Singer Zach Williams. Photo by Andrea Martin. 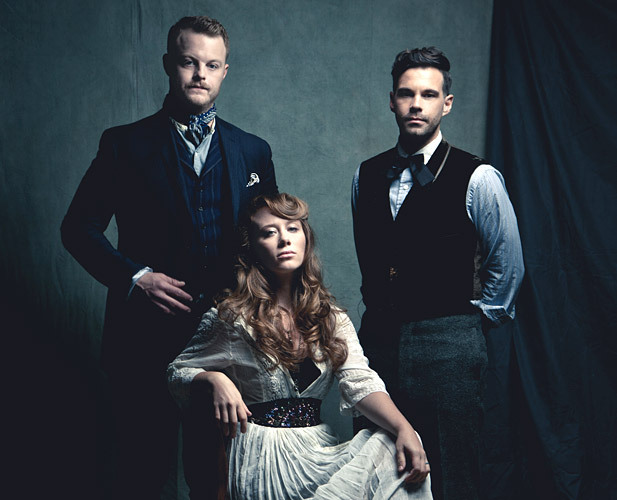 The Lone Bellow hails from Brooklyn, New York and consists of the dynamic trio of Zach Williams, Brian Elmquist, and Kanene Pipkin. 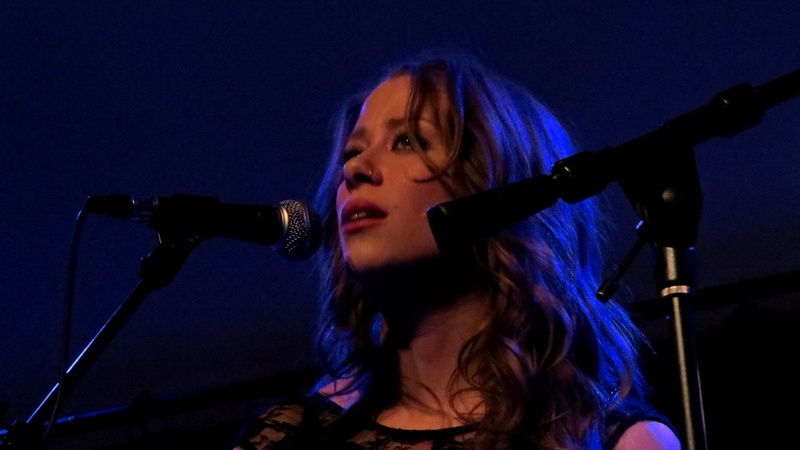 Williams is the lead singer and guitarist and Elmquist and Pipkin create backing vocals along with musical sound ranging from the guitar, piano, and bass. Williams encountered tragedy early after his wife was thrown from a horse, leaving her nearly paralyzed. 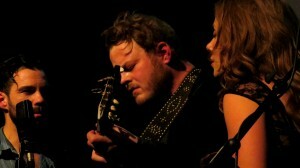 He kept a journal detailing his time during the situation, which laid the foundation for his songwriting, and from that point on The Lone Bellow was born. The three traveled around to perform wherever the opportunity presented itself, and they have not looked back since. Kanene Pipkin. Photo by Andrea Martin. The three opened up with their single “Then Came the Morning” from their second album of the same name, and the impression made from that first song lasted the entire show. Emotionally, the album version of the song can be felt, but it was nothing compared to Williams’ stage presence as he belted out word after word as if he was performing at his last ever show. Williams’ looked out over the crowd as he placed his one hand over his chest, and the other behind his back, a gentleman that seemingly was showing respect to a crowd that had been eager to hear his voice. Pipkin joined him for one verse and the two shared smiles with each other as their voices matched perfect harmony. The song ended with the trio humming out the melody, and the crowd followed suit. From left to right: Williams, Elmquist, and Pipkin. Photo by Andrea Martin. During the middle of the show the three shared the stage as the other members departed, and Elmquist entranced the crowd with the song “Watch Over Us.” The song held more weight live as some of the crowd swayed back and forth, and I could see some people close their eyes and they matched Elmquist’s word-for-word. Williams and Pipkin were near in the shadows, waiting for their turn to join Elmquist’s strong vocals and solid guitar playing. 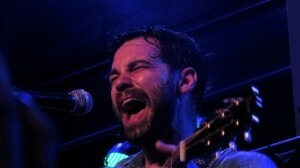 As the show progressed, some songs showed the rock background of the trio as “The One You Should Have Let Go” and “Cold As It Is” gripped the audience in its riffs and personal lyrics. The show ended with “Tree To Grow,” which tells of Williams’ struggle during his wife’s hospitalization. It started off slow and quiet, and then it burst into emotion as Williams’ leapt from the stage into the crowd. The finishing verse was repeated as he instructed for the crowd to keep singing the lyrics with no music to guide them, and Pipkin and Elmquist joined him down on the floor as people gathered around them. It was a perfect ending to a concert that was great from the beginning. The Lone Bellow didn’t disappoint me, and instead went far beyond my expectations–a small band that carries so much meaning and strength. In terms of quality, it would be hard to encounter another band that wore their heart on their sleeve like The Lone Bellow, let alone create a better sound live than on their recordings. But what made it even better were the down-to-earth personalities of the three who stayed after the show to greet fans until there were no more to greet.